In my Madras-Style Mild Curry Powder post, you first heard me discuss the idea that we don’t have to re-invent the wheel when it comes to creative ways to flavor our food in the absence of carbs and commercial processing. There are ready-made flavor combinations and dishes just waiting to be adapted to the parameters of a low carbohydrate diet. For this post on Thai Coconut Curry Cauliflower Rice, we will follow the same theme but will move east across the Bay of Bengal from India to Thailand. As far as ethnic food goes, Thai holds a special place in my heart. My wife and I honeymooned there for three weeks, eating our way across most of the country in that time. I have spent the rest of our marriage trying to recreate the meals we had there with varying amounts of success. The piece of information I have acquired since then that has made the biggest difference in the quality of my Thai cooking came from a blog called “SheSimmers“, written by Leela Punyaratabandhu. In this post about green curry, she advises readers to not bother making fresh curry paste unless all the requisite fresh ingredients are available, and to eschew the typical western substitutions for iconic Thai ingredients. This solved a problem I had with all my Thai dishes, and one that she identified directly in the post. Western cooks that make those typical substitutions that are called for in recipes are inevitably disappointed and blame themselves. She advises instead to use high quality canned curry paste, which was advice I followed and still follow to this day. Thus ended my foray into spending countless evenings attempting to make fresh curry paste by hand. That was before children, of course. It’s hard to imagine having thirty minutes to make a fresh curry paste these days, let alone an entire evening. Cauliflower rice is the type of “empty canvas” ingredient crying out for flavor augmentation in some way. I use canned curry paste to make curry cauliflower rice along with its usual partner in all things Thai, coconut milk. Despite the name of this recipe, I don’t think of this as a proper curry as you would encounter it in a Thai restaurant. Instead, we are using canned curry paste as a convenient and cheap shortcut to add exotic and rounded flavor to a bland dish that desperately needs it. 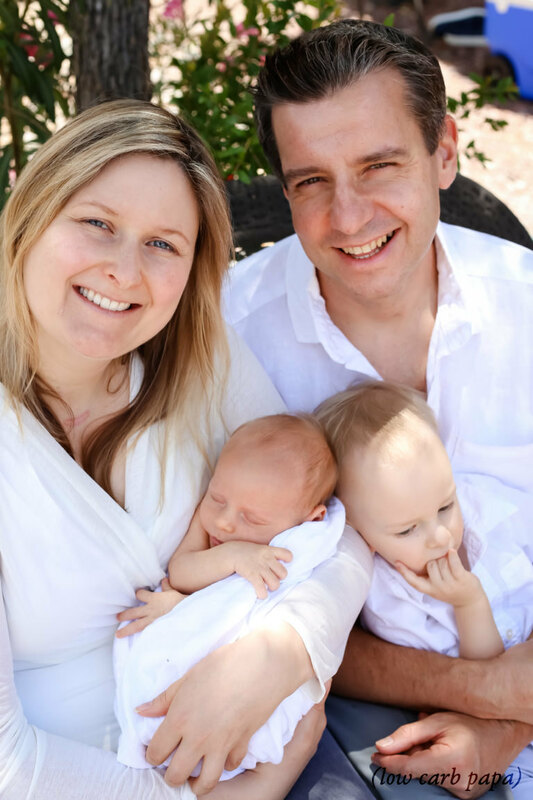 It’s another great example of how the global supply chain is changing how we cook at home and influencing the direction of low carbohydrate cuisine in positive ways that are only beginning to digest. A few years ago, I didn’t even know of the existence of canned curry paste. It’s gone from almost total obscurity as an ingredient in North America to being available readily on Amazon. NOTE: For those of you who are interested, Amazon sells a sampler pack of Thai curry pastes (all of which are appropriate for making curry cauliflower rice) made by Maesri here . Heat the avocado oil in the bottom of a heavy pot over medium high heat. Place the cauliflower rice into the pot once the oil is hot. Sauté the cauliflower rice in the oil until all of the cauliflower has turned translucent and has reduced slightly in volume. There may be a slight brown crust that starts to form on the bottom of the pot. Empty the can of coconut milk into the pot. Use a spatula to scrape all the coconut cream from the inside of the can. That's good stuff! We don't want to throw that out. Add the curry paste to the pot. I used Masaman curry paste, but you can use whatever you like. Stir until thoroughly mixed and then simmer for five minutes to meld the flavors and reduce the coconut milk slightly. Serve. I want to take this opportunity to strongly advise you against using any brand of curry paste other than Maesri. I make a fair bit of Thai food at home, and I've definitely tried to go with other, cheaper brands. Unfortunately, they're all terrible. Generally speaking, they are all heat and no flavor. Stick with Maesri. Amazon has a great assortment pack of canned curry pastes available here . 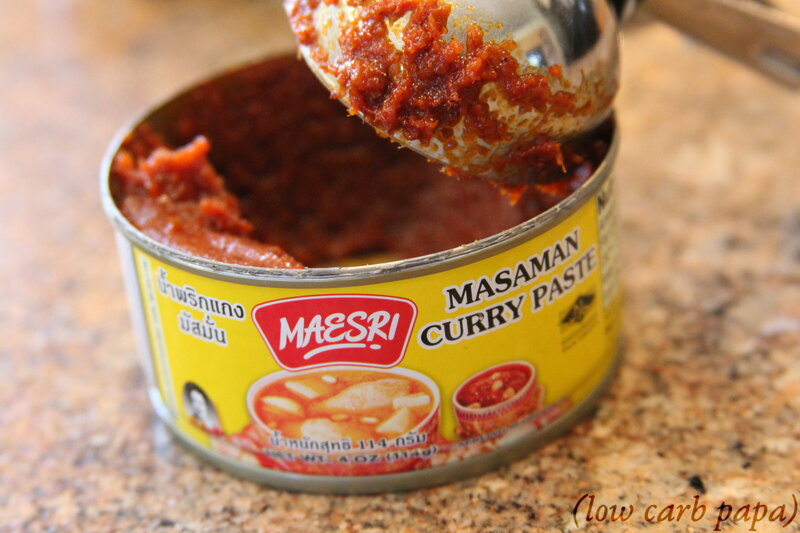 I use Masaman curry paste here, mostly due to it's mildness in the pantheon of Thai curries. Definitely explore if you like, they will all work in this dish. I've seen a lot of recipes for cauliflower rice, and I have to say that I disagree with most of them. The procedure usually involves dumping everthing into a pot and mixing under heat. Cauliflower just has too much moisture to make a reasonable stand-in for rice unless you've cooked it a little to drive some of that moisture off, leaving denser pieces of "rice". As you'll find out, I feel much the same way about mashed cauliflower. I cook mine much longer than most people to get something more dense and more mashed potato-like. 1 Reply to "Thai Coconut Curry Cauliflower Rice"
I added the curry paste to my Amazon cart and look forward to trying this recipe soon.